In my quest to photograph lighthouses, my husband and I traveled to the Outer Banks in North Carolina. 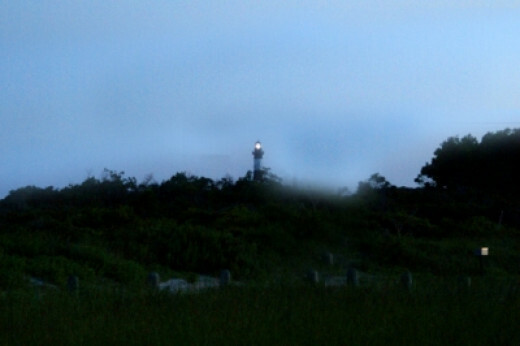 I had seen photos of the Cape Hatteras lighthouse but was unfamiliar with the other lights that guided mariners along the Outer Banks. The first lighthouse we visited was on Bodie Island at the north end of the Cape Hatteras National Seashore. We arrived on a clear August evening so we decided to head straight to the nearest lighthouse. The early evening light was perfect for photographing and I enjoyed walking around the lighthouse and capturing the views from various angles. The lighthouse was not open to climb, but there was a small museum operated by the National Park Service in the old keeper's house. 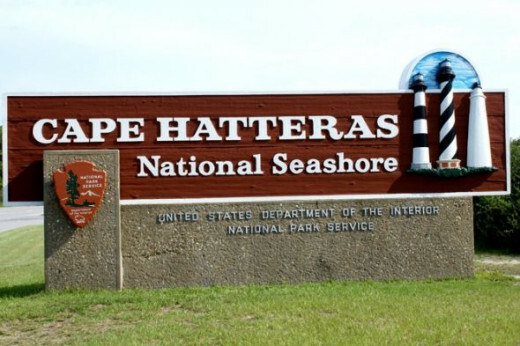 Cape Hatteras National Seashore was the first national seashore in the country. 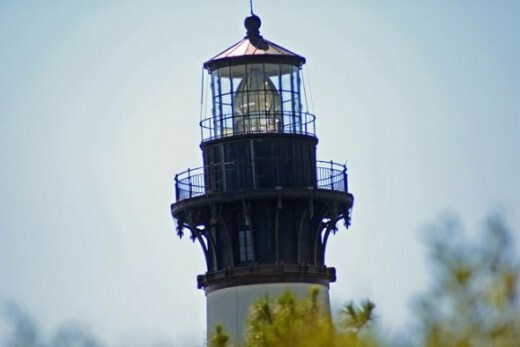 It extends 70 miles from south Nags Head to Ocracoke Island. It covers 30,000 acres. There are many historic and recreational sites along the seashore. 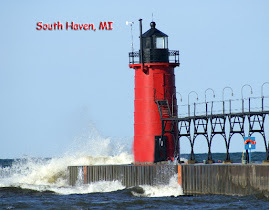 I was particularly interested in the three lighthouses that are located on this national seashore. 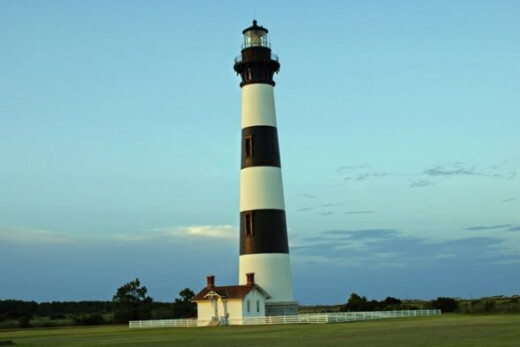 Bodie Island Lighthouse (pronounced body) is located on the North Carolina Outer Banks just south of Nags Head. Like many of the lighthouses along the coast, this is not the first lighthouse on Bodie. 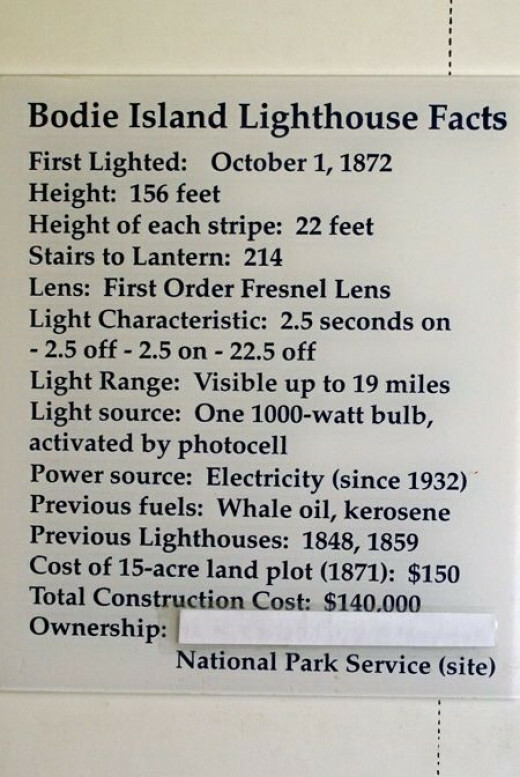 The first lighthouse built in 1847 was abandoned 12 years later due to it's poor foundation. A second lighthouse was built in 1859 but it was blown up in 1861 by the Confederate troops who were afraid that it would give the Union an advantage in navigation. 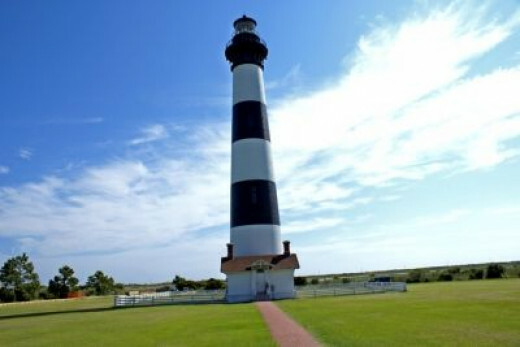 The lighthouse we see today was built in 1872 and is near the northern border of the Cape Hatteras National Seashore. I am always on the lookout for interesting perspectives of a lighthouse. When we visited Bodie Island I walked all around the lighthouse looking for the best views. I tried some close up and some from distances. I liked this interesting perspective taken through the slats of the back porch of the museum. Close Up shots become a bit tricky when we are talking about a tall, thin structure. I took this photo from the road leading up to the lighthouse using my zoom lens. 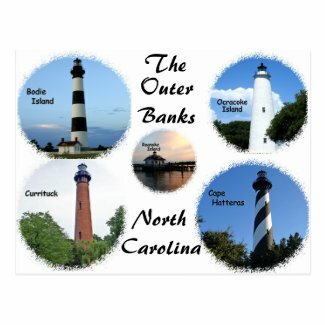 Here is a postcard I made of lighthouses I photographed in the Outer Banks.